Posted on October 17, 2016 at 9:45 am. Last year, we ran an article about the 6 Best Renaissance Babies (in the style of Buzzfeed, Tumblr’s uglyrenaissancebabies, and everything Mallory Ortberg ever wrote for The Toast). However, there are many more than just 6 strange babies in all of art history. So, in keeping with our last piece on strange art history babies, we’ve compiled another list of just some more art history babies–beyond those odd-looking babies of the Renaissance to include those in other periods of western art history. Because there are far more than we can ever list, and these babies deserve their own post. Raphael, The Esterhazy Madonna, 1508. “Stay over there, John.” Image c/o Wikimedia. Yes, it’s by Raphael–the Raphael, the guy who painted School of Athens and numerous other works. Which just proves that “geniuses” are just as capable of painting babies that are just…different. Though this baby Jesus isn’t too odd, he’s still pretty odd. And a bit pushy. Look at how he’s telling that other baby (presumably John the Baptist) what to do. So direct, even for a baby Jesus. Fra Flippo Lippi, Madonna and Child, 1440. (National Gallery, London, UK). “Let go, mom!” Image c/o Wikimedia. Not only does Lippi win the prize for one of the Best Artist Names of the Early Renaissance, he also wins the prize for painting the most overprotective Mary. Though this Madonna and Child isn’t Lippi’s best-known version (which would be the 1465 version at Florence’s Uffizi Gallery), you can almost hear him crying out–“Moooom. Let me go moooom. Moooom. You’re hugging me too hard. Mom!” Then, silence. 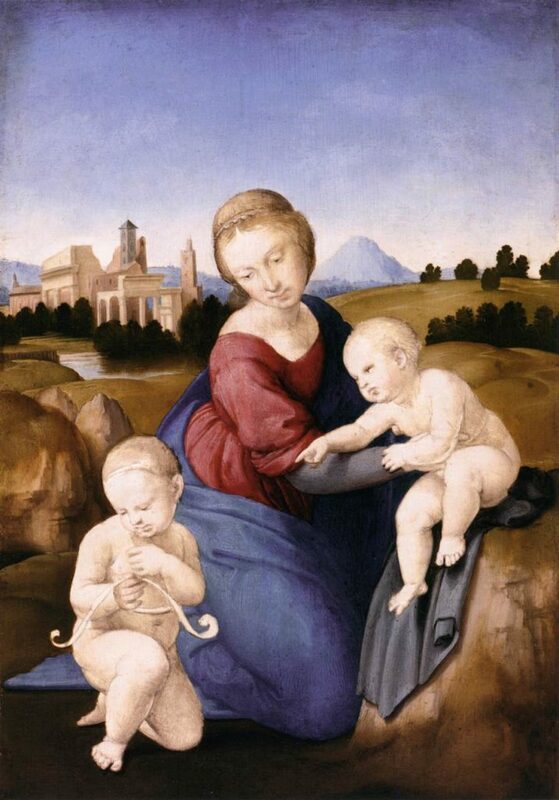 Raphael, Solly Madonna, c. 1500-1504. 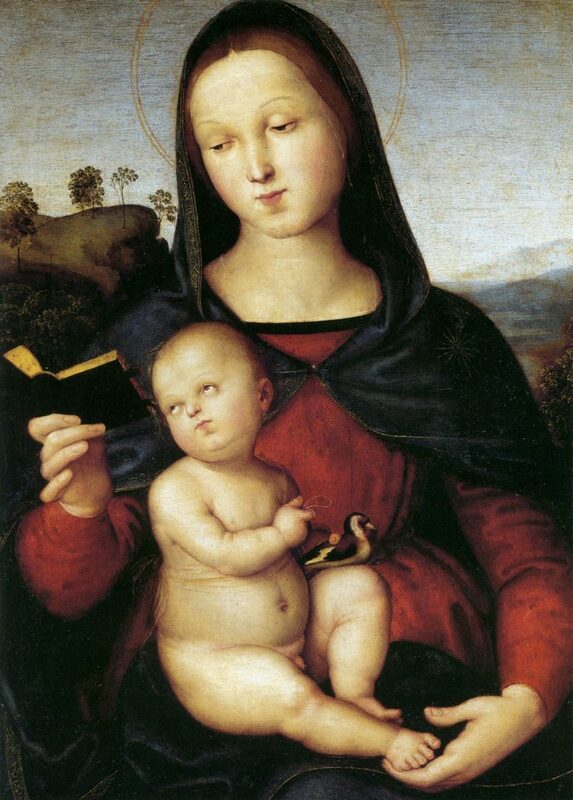 Raphael’s Solly Madonna isn’t interested in the fact that this baby is clearly over it. Image c/o Pinterest. Boucher, Pan and Syrinx, 1759. This baby is struggling against his imprisonment in this painting for all eternity. Image c/o The National Gallery (nationalgallery.co.uk). That toppermost baby to the upper right is having none of this Rococo mythology nonsense today, thank you. It actually looks as though he’s struggling to remove himself from the painting, he doesn’t want to be there so badly. Somebody help this baby, he clearly doesn’t want to be here. Masaccio, Virgin and Child, 1426. 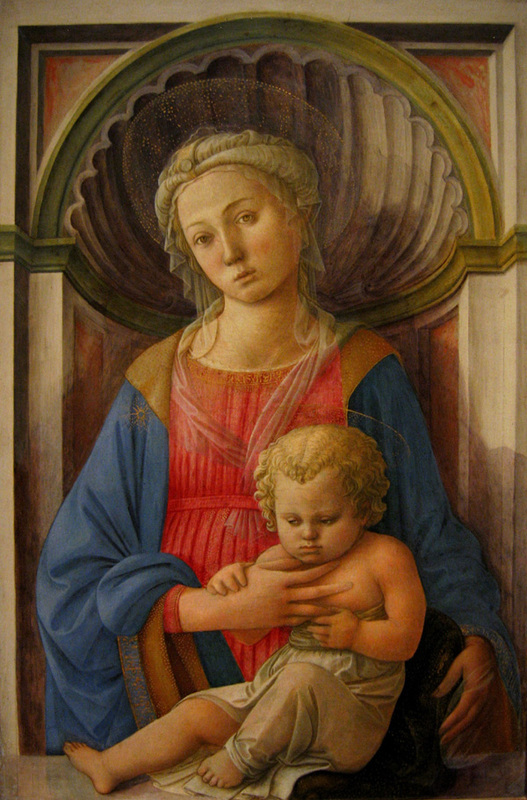 Masaccio’s 1426 Virgin and Child. Image c/o Wikimedia. This baby Jesus looks as if he just stuck his hand in an oven–that’s how dejected, sad, and in pain his expression is. His poor little face also looks like he’s had an accident of some kind. Maybe it’s just foreshadowing his agony on the cross–but whatever it is, this baby looks like he needs a snack and then a long nap. Look at his sad little face! Image c/o Wikimedia. 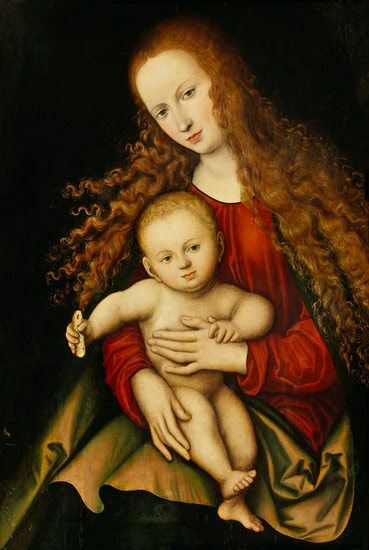 Attributed to Lucas Cranach the Elder and/or Workshop of, Virgin and Child with a Piece of Bread, c. 1529. Side hug baby Jesus=best baby Jesus. Image c/o Pinterest. Though he may have plenty of bread and be depicted in glorious detail (thanks, Northern Renaissance! ), this baby is coming in for a side hug. Note the awkward crook of his arm, the slightly pained and confused image on his face. How could it be anything else? Check out more strange babies of western art history on Tumblr and on our original post. Find out more about what we do here at the Art Docent Program here. Need more art history chuckles? Or just looking for art news? Either way, our past blog posts have what you’re looking for.